President Donald Trump last week announced America would be exiting the Paris Agreement, but now it looks like his administration might be the only ones to leave. States, cities, universities, and businesses have all announced their intention to slash carbon emissions as pledged in the accord, with former New York City mayor Michael Bloomberg leading the charge. Even before Trump made his announcement, Bloomberg released a book written with former Sierra Club head Carl Pope arguing no matter who holds power in the White House, it’s really citizens who can make the difference in the battle against climate change. “Climate of Hope” is the title of Bloomberg and Pope’s book, described by Al Gore as an “inspiring must read.” Journalist Thomas Friedman of The New York Times said the book could offer Trump a blueprint on how to address climate change. The book offers ideas on how businesses and local governments can tackle carbon emissions, in ways like building bike lanes or switching over to energy-efficient heating and cooling. Cities in particular are on the frontline of the battle against climate change. They account for 70 percent of carbon emissions, according to a video interview with Bloomberg, and 50 percent of the world’s people dwell in cities. 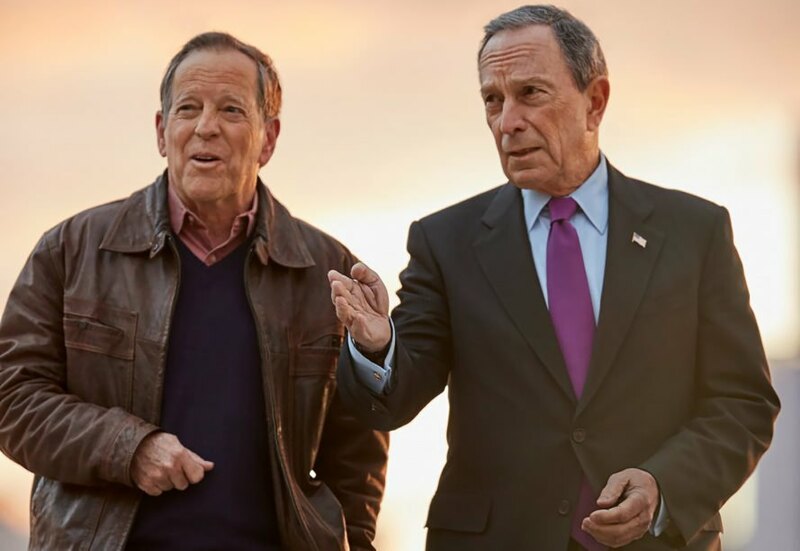 “Cities are where the problems are, and where the solutions are…If people can change their behavior, they can stop the problem and fix the world,” Bloomberg says in the video. In addition to the book, Bloomberg is heading a coalition of states, cities, universities, and businesses that aim to stick with the Paris Agreement. He’s also giving $15 million over two years to the United Nations Framework Convention on Climate Change. You can find out more about Climate of Hope here or order the book here. Bloomberg wrote a book with environmentalist Carl Pope titled "Climate of Hope." In the absence of Donald Trump's leadership on climate change, Michael Bloomberg is one American leading the charge. Climate of Hope talks about how cities and businesses and fight climate change.